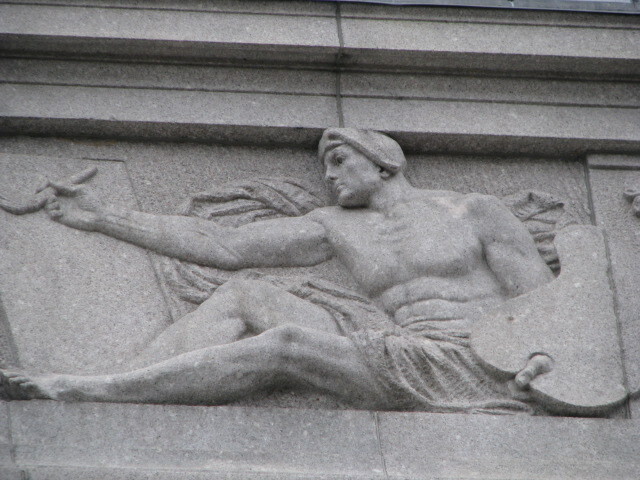 In collaboration with Guy Lowell, Architect for Boston’s Museum of Fine Arts, Frederick Warren Allen was chosen by his Museum School teacher and mentor, Bela Pratt, who had won the commission, to sculpt one of three granite reliefs for the Fenway Facade of the new Evans Wing upon his return from studying in Paris in 1913. 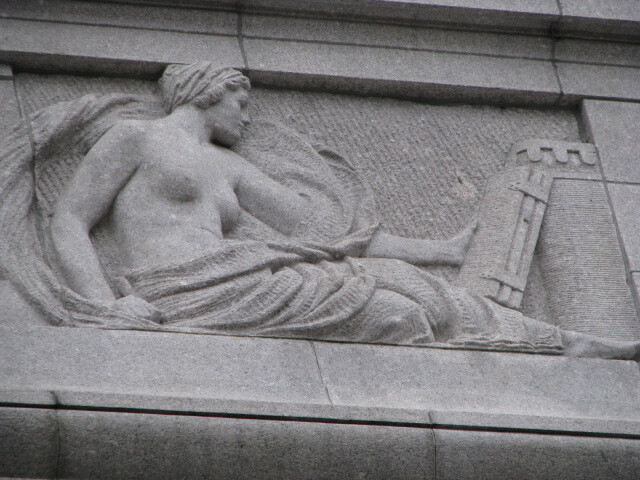 The relief is on the upper right corner of the building wing, a panel measuring 23′ in width depicting “Painting.” Richard Recchia, a fellow student, carved the “Architecture” panel on the left and the highly esteemed sculptor Bela Pratt carved the central panel depicting “Sculpture.” Originally modeled in clay and cast for Guy Lowell’s approval, the final panel was carved in granite. Although Allen had already received orders and commissions for other work, this was his first major piece. 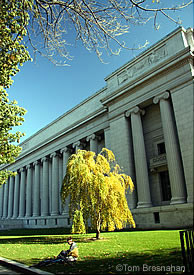 It established his reputation among the leaders of the thriving Boston art world of that era and cemented his place as an instructor at the Museum School of Fine Arts. 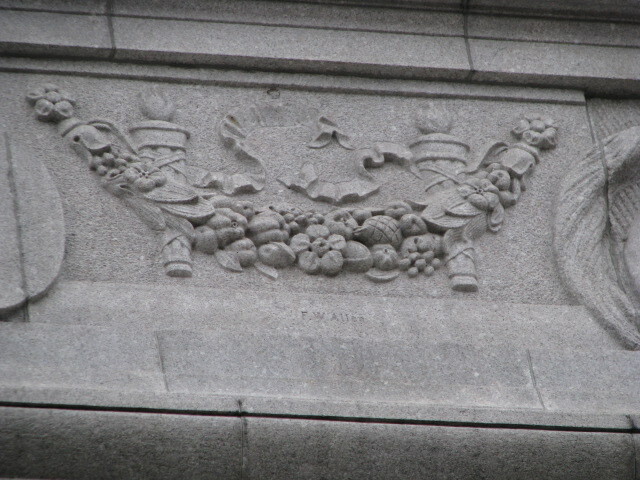 The panel has two figures, one symbolizing Execution on the left and one Conception on the right separated by a central decorative swag under which is carved F. W. Allen. In the closeups (click on the image), you can see the chiseled grooves that form the textured background. An excerpt of the man in the interesting cap was shown at an exhibition of his work at the St. Botolph Club in 1916.